The Brewers have officially given up on Jean Segura, a player once thought to be half of Milwaukee’s middle infield for years to come. On Saturday night, GM David Stearns sent the young shortstop and RHP Tyler Wagner to the Arizona Diamondbacks in exchange for 2B Aaron Hill, RHP Chase Anderson and infield prospect Isan Diaz. Reminder: Segura was the prized-prospect the Brewers received when they traded Zack Greinke to the Los Angeles Angels. By trading Segura, the team opened a spot at shortstop for Orlando Arcia, the Brewers’ top prospect and an overall top-10 prospect in Major League Baseball. Arcia, according to Stearns will still start the year in Triple-A, but now a future trade to clear space is no longer necessary. After years of incompetence at the plate, Segura quickly lost his place in Milwaukee’s future plans. He was tremendous in his first full season with the Brewers in 2013, accumulating a 3.5 WAR with a surprisingly above-average bat (105 wRC+). That, however, was his only even remotely decent season. Over the next two, he failed to post wRC+’s above 70, and if you forgot, a league average wRC+ is 100. His on-base percentages barely even whiffed .290. As a ground-ball hitter with no power and who doesn’t walk, his usefulness at the plate was non-existent. The Brewers absolutely needed to trade him. And as far as Wagner goes, well, he’s really nothing more than a throw in. Maybe he can be an innings-eating reliever. Maybe. 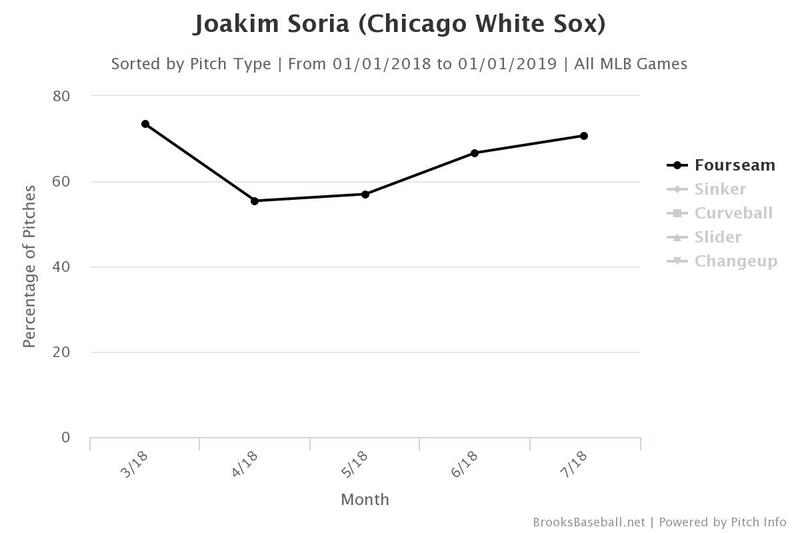 But while I was of the opinion that Segura needed to be moved, I thought the return would be relatively small. His age is his only real value right now, so what would a team realistically give up to acquire him? Stearns somehow worked his magic again, though, and landed two interesting players (one with huge upside) and one fading veteran. With that being said, I am still somewhat confused about Milwaukee’s return, making this the first of Stearns’ many moves that I’ve questioned. What good does he do the Brewers? Even if Hill was still in his prime, he would be of little help. The Brewers aren’t trying to win right now. Or next year. Or the year after that. They need young, cheap players; not a failing second baseman who will cost them $5.5 million in 2016. (Thank god the DIamondbacks are forking over $6.5 million.) I’m assuming the Diamondbacks insisted that Hill be included in the deal. They were probably more than happy to shed some of his salary. The best case scenario on the Brewers side is if they can flip Hill at the deadline, although the return will be smaller than an ant. The same can be said for Chase Anderson, although he’s more of an average player than Hill and will be around a lot longer. His age is what makes him a confusing acquisition. Anderson has played just two years in the majors, but he’s entering his age-28 season with no clear upside. He’s been a league-average pitcher in his 48 career starts (4.18 ERA and 4.17 FIP). He does have one of the best changeups in the game, but with a fastball that averages 91 mph, his arsenal is weak and it doesn’t get him many strikeouts. Anderson won’t cost the Brewers much, and is destined to be in the starting rotation for years to come according to Stearns, but did Milwaukee really need a back-of-the-rotation starter? I’m not so sure. Obviously, this deal will be made or broken by the progression and career of Isan Diaz. Diamondbacks’ GM Dave Stewart said Diaz was the first player the Brewers asked for when trade discussions commenced, and when looking at his last season in rookie ball, it’s easy to see why. The 19-year-old shortstop posted an insane .436 OBP and an even more crazy 169 wRC+ in 312 plate appearances. He was named the Pioneer League MVP in September. (Lyle Overbay was honored with the same award in 1999.) For a shortstop, he has some pop in his bat and the ability to walk, two things that Segura could never do. Diaz already has a higher ceiling than Segura. Quite a few executives are big fans of Isan Diaz, the 19-year-old SS the Brewers got back in Jean Segura deal. David Stearns doing work. Diaz is the only part of the trade that I really like and understand. He has a chance to be an above-average fielder and hitter, and the fact he’s so young gives him a lot of time to keep improving on his art. The Brewers are in no rush to get him to Milwaukee. Once again, the Brewers are playing the “high-ceiling” game, hoping Diaz turns into a respectable major-league player. As far as Hill and Anderson go, well, I guess we’ll just have to see what happens. I could reasonably see Anderson turning into a No. 3 starter, but by the time the Brewers are ready to compete, he’ll most likely be past his prime. That’s my biggest problem with acquiring him. 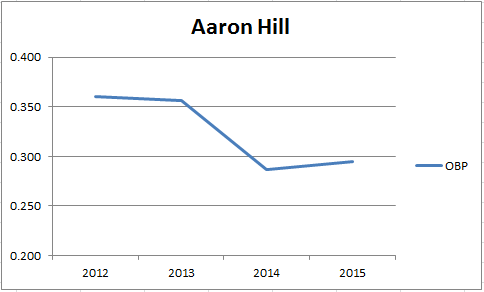 Hill is already past his prime and will do nothing to help the Brewers going forward. A throw-in is all he is. The Brewers have made many great moves this offseason, but this might be the most interesting one. This entry was posted in Trade Analysis and tagged Aaron Hill, Arizona Diamondbacks, Chase Anderson, Isan Diaz, jean segura, Milwaukee Brewers, Tyler Wagner on February 2, 2016 by Justin Schultz.